This month we are showcasing Canine Balance in Melbourne. Canine Balance is a dog rehabilitation company run by Sarah McFarlane. Sarah is passionate about helping your animals naturally. Sarah specialises in providing pain relief for your dog using a full integrated approach. One of the biggest issues that Sarah sees in her clients is the micro injuries their dogs experience when walking on slippery floors. We wanted to share with you Sarah’s invaluable tips for helping you manage your dogs on slippery floors at home. 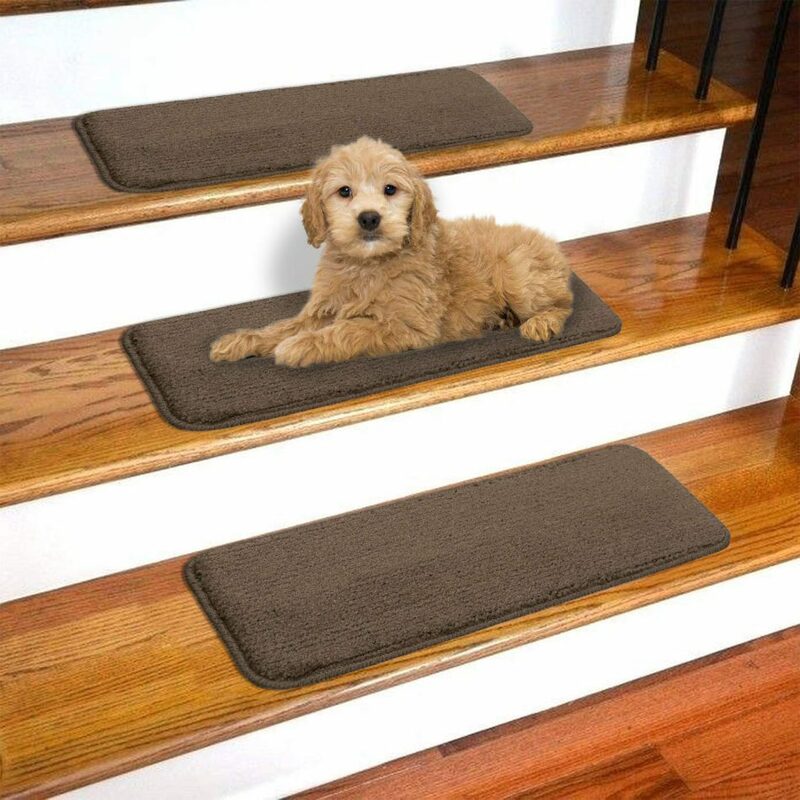 Dogs & Slippery Floors – Why are they BAD and what problems occur? In the last 10 years, it has become the norm for many of our beloved dogs to live indoors. Whether on the couch for cuddles, sleeping in our beds, chewing on toys in the living room, or with their heads sniffing in the fridge every time it’s opened, our dogs are spending more time inside as part of the family. WARNING: Tiled and timber floors are very slippery for dogs and can cause severe injury. This includes slate tiles and rough-grained timber. Is your dog hunched/roached in its back, or no longer jumping up or off furniture? These are just a couple of the tell-tale signs to look for. Whilst the dog was asleep on the couch its body is naturally restoring, repairing whilst ligaments and tendons are cold. When the doorbell rings he moves quickly, jumping off the couch, landing on tiles or floorboards. At this stage, he is moving at speed. Landing on the slippery surface, his front legs could either splay outwards or slip, abducting the legs away from the body, over-stretching ligaments, tendons and even muscles. At the same time the body torques itself, trying to regain its balance onto the front legs. The hind legs either splay or slip, possibly in the opposite direction of the front legs, twisting the middle of the body. While this twisting is happening, the musculature is rolling over the vertebrae and tendons or sinews can get hooked on the wrong side of the vertebrae. All the dog wants to do is get to the door in a hurry, so he tries to collect all limbs together and onto all four feet to run to the door. It all happens so fast: his feet slip, causing muscles to contract but he’s not able to go through with the action, which can result in microfiber muscle tears or strains. 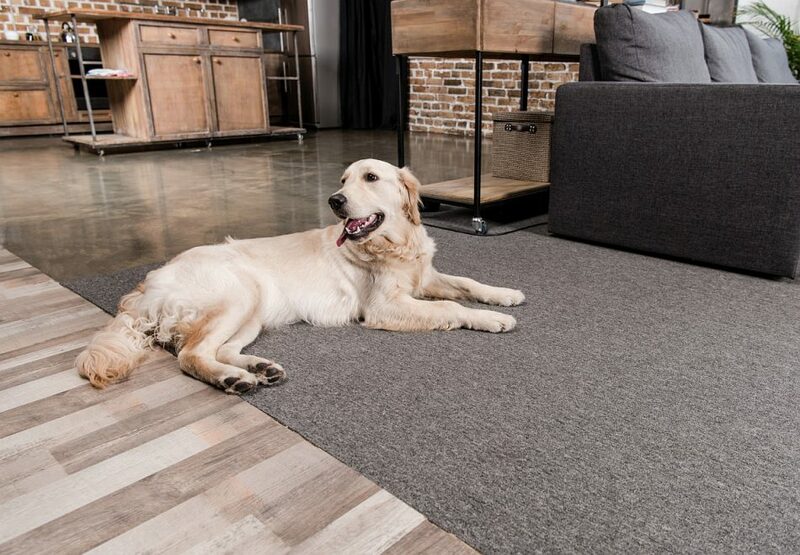 Why Dogs & Slippery Floors Cause Reoccurring Problems? As the dog is eager to reach the front door, both his back legs slip from underneath him in one direction, again applying enormous torque through the back. He pulls himself up and continues, only to slide and crash into the front door with the side of his neck and shoulder first. This creates abrupt impact onto the shoulder forcing it backward. This scenario is common and might look comical, but there’s nothing funny about the damage it can do to your dog’s body. In many households, this scenario plays out repeatedly. Over time this repetition causes sinews or tendons to come out of alignment, and they start to rub on the vertebrae with the dog’s movement. You may begin to notice the dog is crabbing (walking to one side) or has become aggressive to other dogs in the park, which is totally out of character. By this stage, the sinews or tendons have become inflamed and the dog is likely to be in pain. Months pass and the dog’s back starts to dip just behind his shoulders and then roaches in his lower back area. He is probably not stretching out while running like he used to and is hesitant to jump up into the car or onto the couch. At the vet, he has prescribed anti-inflammatories for 2 weeks and rest, and perhaps an injection to ease the initial pain. A week later the dog appears to be back to his normal self. In reality, his back is still out of alignment! Innocently, you start playing with him, or the earlier doorbell scenario repeats and, suddenly, the dog lets out an almighty “YELP”. This time he gets up, holding up one back leg. Those little microfiber muscle tears have now turned into a bigger problem. Not only does he have back issues, he has also strained a muscle in his groin. Back to the vet he goes. Housing dogs & slippery floors will inevitably lead to injury. As a therapist, I see dogs suffering for too long with this continuous cycle of soft tissue injury. 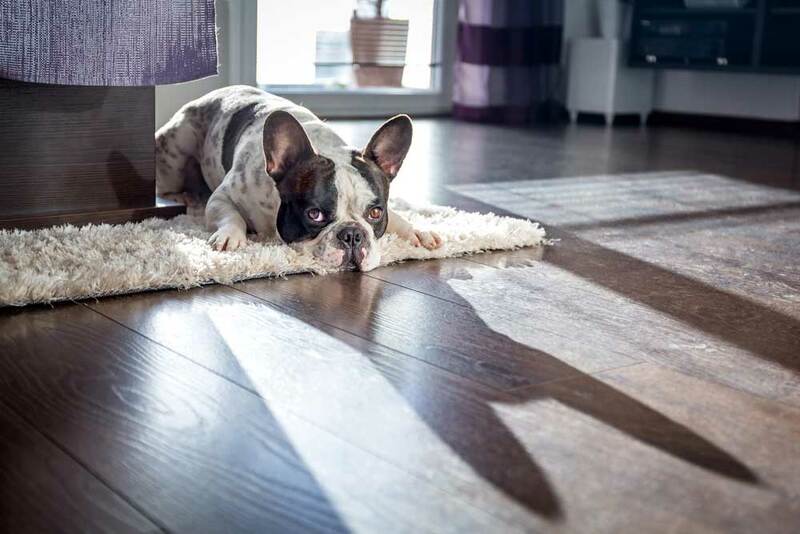 It is important for owners to understand that the problem is not an activity or sports related but is recurring from slipping and sliding on tiles and floorboards. Seek quarterly soft tissue body maintenance check-ups for your dog. Near front and rear doors. In the hallway. Baby gates are a good alternative for unsupervised dogs & slippery floors in the house. Preventing dogs from slipping and sliding on floors is one step closer to having an injury and pain-free, happy dog. It will also save you money, heartache, and prevent major injuries that lead to surgery. Wildlife Rescue Success: What Is Your Next Step To Getting Involved? Why Is My Dog A Hoarder? What Type Of Healing Does Your Animal Need? Do You Make Your Animals Happy? Do Your Animals Like Your New Partner? Choosing A Dog: Puppy, Adult or Senior? Complete the form below and one of our expert animal communicators will phone you!